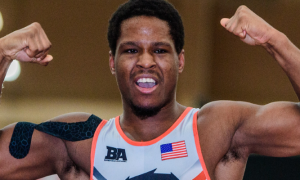 On Sunday, Kamal Bey (77 kg, Sunkist) led the US charge at the Granma Cup with a dynamic, dominating run to gold while Dalton Roberts (60 kg, NYAC/OTS) and Kevin Radford (87 kg, Sunkist) both picked up bronze. With the annual Cuban event serving as one of United World Wrestling’s four “Ranking Series” tournaments, these placings (along with a couple of others) carried a little extra weight. We say “a little” because the one stipulation that needs to be observed is the fact countries do not keep Ranking Series points, only athletes do. 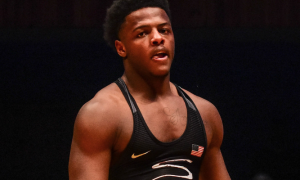 And since the US World Team Trials are still four months away, the points accrued by Bey, Roberts, and the others are, for now at least, primarily most useful for potential spots in the UWW top-20 rankings. But nothing more. Even still, the Ranking Series point system does deliver an added twist, certainly for bookkeeping’s sake. 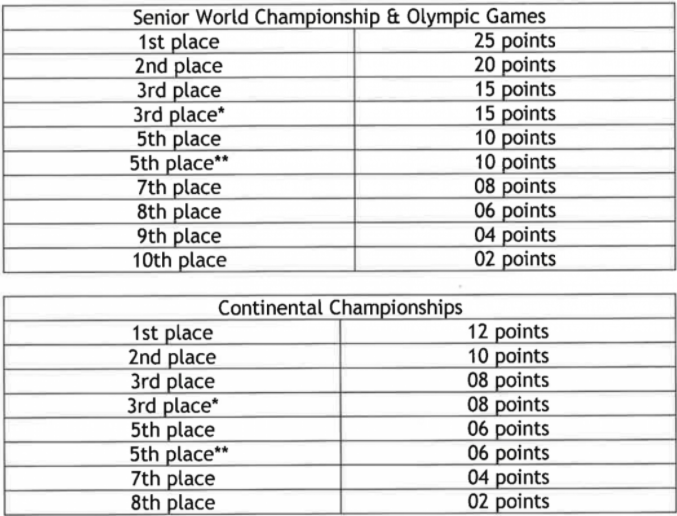 Each UWW event where points are distributed according to placings (World Championships, Continental Championships, and Ranking Series) has its own point value. 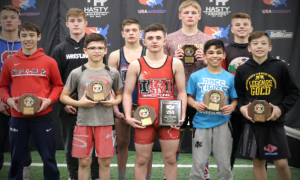 First place at the Worlds awards a wrestler 25 points plus additional points for however many competitors are in a bracket. If there are 30 wrestlers in a bracket, a World Champion receives 55 points (25 + 30 = 55). We’ve gone over this before and the charts below outline it very well. United World Wrestling point value charts for World and Continental Championships. United World Wrestling Ranking Series point value chart. Just by glancing at the second chart, it is easy to discern how the United States Greco-Roman wrestlers who placed over the weekend came away with their points. Bey competed at 77 kilograms, which featured a total of seven competitors. He won, so there’s eight points, plus another seven to account for the number of wrestlers who were present in that weight class. 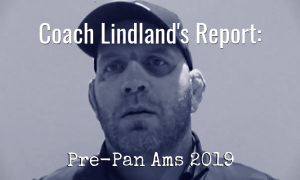 Not counting the World Championships, US Greco athletes will only be participating in one more event where points are a factor, and that will be the Pan Am Championships in May. Although typically a tournament fraught with its fair share of challenges, it is still one the Americans traditionally light up the leaderboard. If any of the six wrestlers listed above suit up for the Pan Ams, they will be able to add to their seasonal point totals (of course). This ranking system is seeing a “soft launch” in 2018 with next year being targeted for full implementation. If you’re a fan of the sport, it is both good and bad. It’s good, because it is now easier to track why an athlete is ranked where he (or she) is. It’s bad in that while the subjective nature of the previous ranking system might’ve had its flaws, those same flaws encouraged debate and discourse around the sport. Greco needs more conversation, not less. But when it comes to seeing where guys land in the brackets at the Worlds, there is little question an amendment to the system was necessary, making the Ranking Series and the point values from the other events a definitive step in the right direction. We’ve been ringing the bell for this coming weekend’s Thor Masters Invitational in Denmark a lot over the past month and our coverage is really just beginning. Before the action begins on Saturday we will have a full rundown on all of the participants currently registered as well as how to watch the tournament live. And then from there, let chaos reign. Not to be outdone this weekend is the 2018 Armed Forces Championships, held at Camp Lejeune, North Carolina. 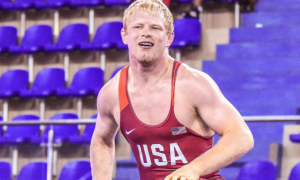 USA Wrestling is expected to stream the dual meets live and on our end will be a special feature on a well-known (and well-respected) athlete along with some other stuff throughout the weekend (and after). Williams Baptist 77-kilogram competitor Ryan Whittle recently rejoined the college’s folkstyle team and went 4-1 over the weekend at the conference tournament (after having not practiced that style in 11 months). This is a move that makes sense for Whittle. In 2017, he spent most of the year ranked in the NAIA top-10 at his weight class. But during the national championships, injury struck in the form of a dislocated shoulder, sending him out of the tournament and ending his folkstyle career on the most bitter of notes. Whittle crossed over to Greco soon after and has made his pursuit of Senior-level success a priority ever since. But when the opportunity arose for him to all-of-the-sudden delved back into NAIA competition, he jumped at the chance. Whittle is now preparing to end his folkstyle tenure on his terms at the NAIA nationals next month, although there is no reason for hardcores to work themselves into a huff: he still plans on sticking with Greco-Roman and and will be lacing them up in the classical style again at the end of March. To know Whittle is to recognize his immense intelligence and maturity. This is an athlete who knows what he wants and understands how to apply difficult lessons learned. 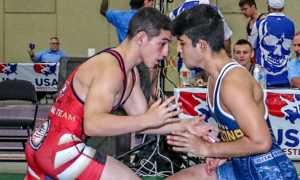 That’s why he is interested in making the most out of this second chance, and if he gets to use his newly-acquired Greco skills at the same time, all the better. That last line should be appropriately absorbed in effort to glean its full value. Business is booming at NMU and everywhere else. A normal reaction to a bronze medal overseas. Man….I love wrestling in competitions. The reason why this Roundup is a full day late is because for approximately six hours yesterday morning, there was a technical error on the website. As with all things of this nature, it came out of nowhere and crashed the system. Luckily, the problem was discovered and subsequently fixed as soon as it was possible to do so. Either way, 5PM apologizes for any inconvenience this may have caused and we have taken steps to ensure that it doesn’t happen again. But yeah…yikes.